Lightly tinted, whisper light texture is non-greasy, water resistant and oil-free. Ideal for all skin types. Protect skin from damaging UVA/UVB rays with 9% titanium dioxide and 6% zinc oxide. Soothe and restore skin with sodium hyaluronate. Helps guard against future sun damage and neutralize free radicals with antioxidantsodium selenite. Protect skin from damaging UVA/UVB rays with 9% Titanium Dioxide and 6% Zinc Oxide. Soothes and restores skin with Sodium Hyaluronate. Helps to neutralize free radicals with Sodium Selenite. Apply to face before and during sun exposure. Reapply as needed. This product should not be worn under powder or foundation. It is a simple way to apply overall base coverage while accomplishing a 40 suncreen rating. That is pretty cool. The easy to apply, smooth, and clean product, is a very forgiving option for weekend makeup application. I have been using this product for over a year and up until my last bottle I absolutely loved this tinted sunscreen. However, my last bottle the tint was darker than normal and the consistency was thinner. I am not sure if the formulation has changed or if I just received a faulty bottle. If this is a formulation change than I won't be buying this product again.Makes me sad if the formulation has changed because this used to be one of my favorite products. I assumed I would love this product because I am an ARCONA devotee... but I was highly disappointed to find that it is a tinted sunscreen. It is designed for fair to light skintones so if you're darker than that, don't buy this. I am fair-skinned but don't like tinted moisturizers and don't like this tinted sunscreen. You do get a lot for the price and it is non-irritating to sensitive skin and it's great that it has SPF 40 but it's not for me. This sunscreen is a little thick..but gives a matte finish after applying. It makes makeup application alot smoother. The only problem is the tint is a little dark for my very fair skintone. Great Physical SPF but colors Waaaaay Off! 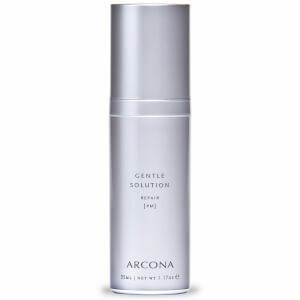 I really wanted to like this product because I love Arcona, but unfortunately I started getting clogged pores a week after using it. It has a nice whipped texture and smells pleasant, but I didn't like the tint because it was too light for my light/medium skintone. This would be a nice product for someone with fair skin that is not too sensitive to pore clogging ingredients. It felt more like a foundation than a sunscreen to me, so it seemed a bit heavy for my skin. This is a fabulous product. I have fair skin. Reozone over my Arcona Booster Serum and Magic White Ice hides pores and goes on better then any foundation I've used, and I have used them all. It lasts all day and gives a natural finish. If you need heavy coverage or have darker skin this would become your primer. The tint would be too light for anyone with darker skin to use as a makeup.I have recently discovered the Arcona brand and I am thrilled with everything I've tried. All of their products have been great for my ageing rosacea skin. Very lightweight sunscreen for face! This sunscreen for the face is the best! It is high protection, all mineral sunscreen, not greasy, leaves a matte finish and does not break me out . You get a good amount of product for your money. I highly recommend this for combination to oily skin. I love it! Highly recommend this product. So light and easily absorbed by skin. Can use in place of foundation on days don't feel like wearing heavier makeup. Gives a smooth and matte appearance to skin. Another Arcona winner!